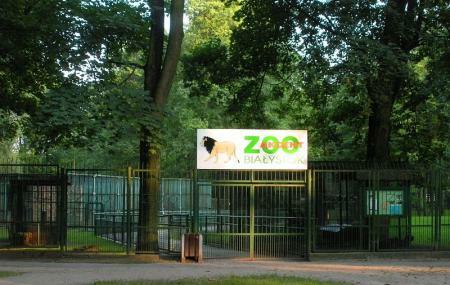 This small zoo is mainly used as a refuge area for animals and birds. Numerous animals like bison, gray wolf, noble deer, brown bear, rabbit, goats, horse and pigs can be found here. Different species of owls, swan, pheasant and Buzzard are also often sighted. There are spacious walkways to explore the zoo. The animals are well-taken care of and kept in the hygienic conditions. Children will definitely enjoy visiting this zoo. The staff will tell you everything about the animals and how to take care of them. Come here and spend a few fun-filled, informative hours. Create a customized plan for your visit using the Bialystok trip planner. You can use ready templates or start from scratch for the same. Your worry of where to stay in Bialystok is sufficed by bunch of interesting and comfortable lodging options in the Bialystok like Boutiquehotel Aristo, Comfort By Trio, Borowinowy Zdroj Hotel Wellness Spa & Conference and Hotel 3 Trio. Find out how to reach Bialystok to begin with. Plenty of wholesome Bialystok vacation packages are available to choose from, pick your today! Love this? Explore the entire list of places to visit in Białystok before you plan your trip. Fancy a good night's sleep after a tiring day? Check out where to stay in Białystok and book an accommodation of your choice. They have so active bear, i love the place. Quaint free walking area with local animals undergoing rehabilitation. Blind friendly and beautiful exhibits! Bears, wolf, leopard, owls, really strange chickens up close and personal! Brilliant place, completely free and a great day out for the family.